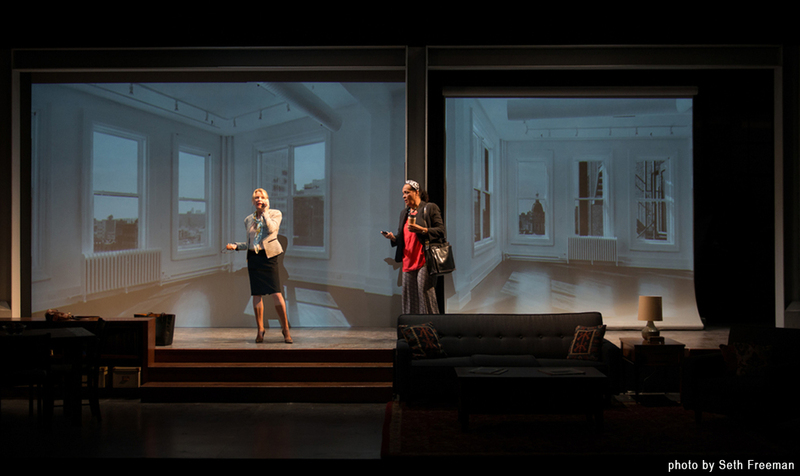 "Set designer David M. Barber creates a fabulous set that seamlessly shifts from high-tech TED Talk projector screens to expensive New York condo, with Lighting Designer D. M. Wood adding to the seamlessness. " 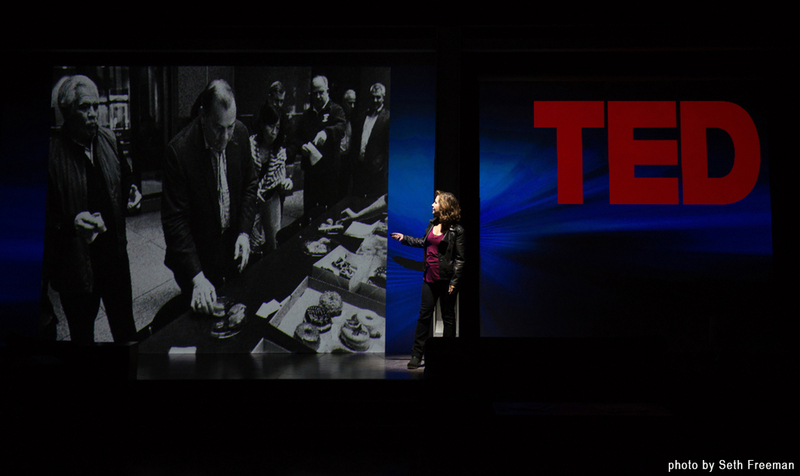 "The set, designed by David M. Barber is a particularly impressive technical element in the production. Giant projections screens double as both fascinatingly deep visual backdrops and methods to display Aiden's character's photographs throughout the show. 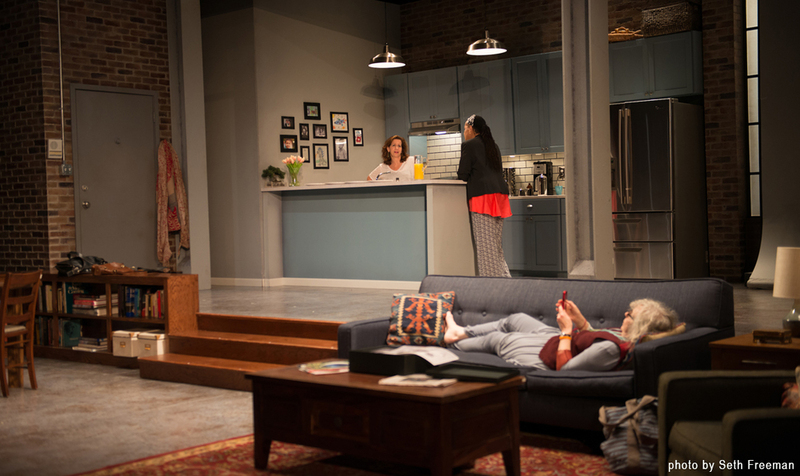 The onstage apartment was designed extremely well..."